At Streissguth Gardens, the bright purple rhododendrons shout loud and clear that a beautiful Capitol Hill spring is just around the corner. This lush and idyllic garden is tucked away in a small pocket of northwest Capitol Hill, an official part of St. Mark’s Greenbelt. The backdrop of the gardens is a stunning view of the Sound – on a clear day, the view extends from the skyscrapers downtown over to Gasworks Park and beyond. Tended with love by a local family, this park is open for public enjoyment but feels like the private backyard of an old friend. Ben, Ann and Daniel collaboratively wrote the book and focused on their different strengths in each chapter, with information on everything from irrigation to urban development and indigenous plants. 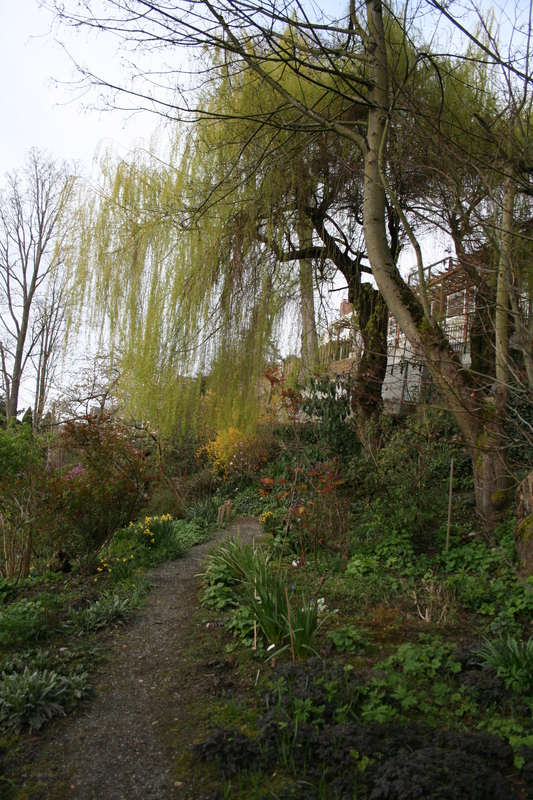 The Streissguth Gardens (as we now call them) sit on the precipitous steep western slope of Capitol Hill, less than two miles, as the crow flies, from downtown Seattle. The garden encompasses four city lots: the East Blaine Street stairway runs through it on a grade too steep for cars. As you climb the stairway, our house and garden lie to its north, and the public part of Streissguth Gardens lies to its south. Vistas of Lake Union, Queen Anne Hill, downtown Seattle, the ship canal, Puget Sound, and the tops of the Olympic Mountains unfold before you, weather permitting. From the East Blaine Street stairs, you can disappear into the wooded gardens on narrow dirt paths, finding earliest spring bulbs blooming at your feet or a canopy of blossoms at your shoulder. Even from your automobile on Broadway East below, you can look up and see the panorama of color, changing each season as the towering big leaf maples lose or gain their leaves, inhibiting or encouraging the sunlight and the flower carpet beneath. The landform here, the soils, the plant materials, the geological underpinnings of today’s urban development, are the products of forces acting over millennia. In our part of the Pacific Northwest, the glacial activity of the Pleistocene and post-Pleistocene era formed the land into the distinct pattern of north-to-south ridges and interspersed lakes that now constitute Seattle. It created, at the southern edge of the continental ice sheet, a new seedbed that gradually nurtured the predecessors of western hemlock, which, like the sword fern undercover, thrived in the moist maritime climate, photosynthesizing even under the local cloud cover. Douglas fir, with its undercover of salal, preferred the warmer sunnier slopes. Seattle had been founded in 1853. The great fire burned the city’s center in 1893, and the first trains of the transcontinental Great Northern Railway arrived that same year. The discovery of gold in Alaska in 1897 eased the great depression of 1893–1896, as Seattle became the gateway to Alaska. As the city expanded to the north, a streetcar line from downtown was operating on 10th Avenue East as far north as East Lynn Street by 1891. In 1990, J. A. Moore platted and began the development of a 160–acre “Capitol Hill” site, with dreams of attracting the Washington State capitol building. Wirth’s Addition to the city of Seattle (where our house now stands) had been platted in 1888, including the land between East Howe and East Blaine Streets. The Broadway Second Addition (south of East Blaine Street, where the public Streissguth Gardens are located) was platted two years later, with the street rights-of-way established in a standard sixty-foot width. Much of this narrow strip of land on the steep western side of the hill, between 10th Avenue East and Lakeview Boulevard, north of East Highland Drive, was saved from substantial development by its severe slope. The grand homes were built instead in these early years on Federal Avenue East, nearer to Volunteer Park, and along the streetcar line. A section of the steepest, most rugged jungle-like wilderness would much later be designated the “St. Mark’s Greenbelt,” lying one-third of a mile long immediately south of The Streissguth Gardens. Daniel, an architect and a professor emeritus at the University of Washington, bought the undeveloped land in the 1950s, reachable only by the Broadway stairs at that time. He built a stately four-story house on the property, directly to the right of the stairs. When the house was completed, Daniel started working on a garden in his yard. All the while, Ann, his future wife, was building up her garden just next door. “We met and fell in love in our gardens,” said Daniel. When the two married, they bought the house Ann had been renting next door and began clearing the jungles of trees, blackberry and weeds that surrounded them. The garden’s development has been an organic process. The Streissguths build trails and design planting projects as they go. There is also a vegetable garden, which Ann started on the sunniest part of the lot. She’s growing potatoes, strawberries, onions, tomatoes, zucchini, lettuce and more. “She’s a pioneer woman,” Daniel said with a smile. As time went on and the family cleared the space, people from the community started to take notice, especially as they came down the Broadway staircase, a popular area of the park. It was still private property then, but the wild brush and overgrowth surrounding the Streissguth land was in danger of becoming a condominium building and parking lot. To curb over-development, the city issued a parks bond in 1989 to purchase land threatened for demolition, focusing their attention on the area near St. Mark’s Greenbelt. The Streissguths donated their two lots to the city and, including the three lots the city purchased from the condo developer, created a large space for an open park. The city purchased the land from the developer and set up the contract with the Streissguths, all of which finalized in 1996. “The original gift of the land [included] an agreement with the city to lease back the land to us and continue to maintain it in the conditions in the time that we gave it,” said Ann. That agreement extends throughout their lifetimes and legacy, until the family decides to forfeit those rights. They also pay for all the maintenance and tools needed to keep up the garden, which runs on solar power and a complicated irrigation system. Ben grew up tending the gardens and is now an irrigation specialist and horticulturist. 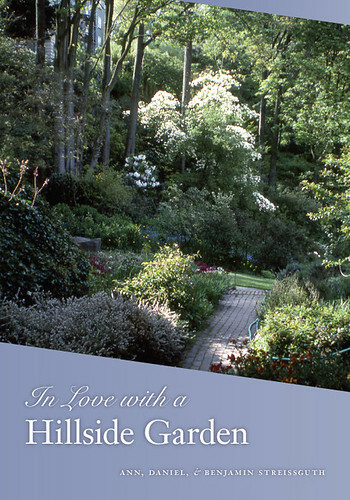 He designed the complicated system that brings water to the hillside rhododendrons and other plants which developed nicely under his care. The amount of land the family currently gardens equals out to a little over an acre. “The only thing the city has paid for is the water and water meter,” said Ben. People interested in working with the Streissguths can sign up as volunteers through their website with one condition – they have to follow the family’s vision for what the garden could be. The garden is open to the public every day, and most times you can catch Ann or other members of the family, including their dog Tiger, pulling weeds or clearing. Students from Bertschi School look forward to releasing butterflies into the garden every spring. The garden’s development is far from over, with a lot more undeveloped land still to conquer in the years to come. There’s also no need to wait for the official start of spring to visit the Streissguth Gardens. 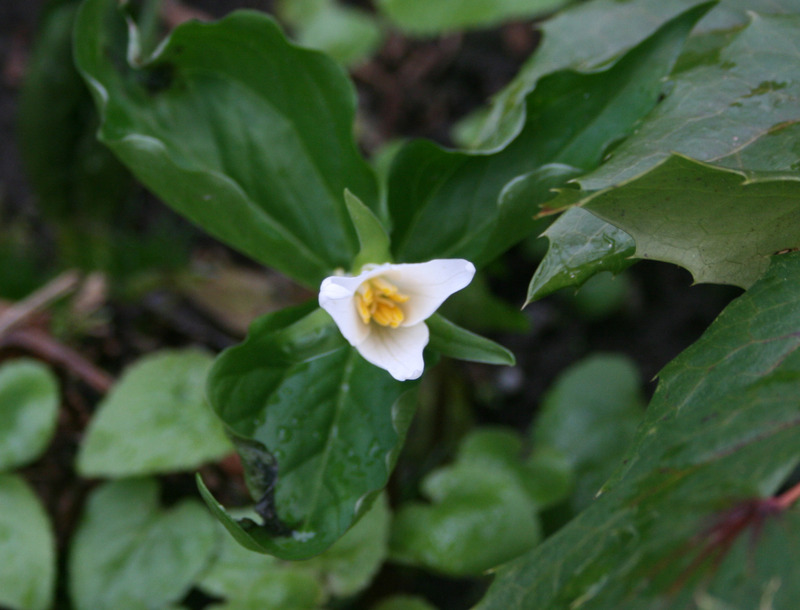 “We’re in flower every day of the year,” said Ben. This entry was posted in Uncategorized by lauren.p. Bookmark the permalink. I am so excited that this family decided to write a book on this beautiful part of Capitol Hill! I climb stairs here regularly and look forward to picking up my copy to enjoy. Many, many thanks to the Streissguth family for their beautiful work, and for their incredible friendliness to all who stride past their house each day. I have loved that park since I moved to Seattle and Capitol Hill ten years ago. Thanks to the extraordinary Streissguth family for creating it, and now for documenting their labor of love. I echo the love! This is truly a unique treasure of Capitol Hill and really the whole city. Thanks, lauren p., for this terrific piece on a homegrown city treasure. I walk right through there all the time, the Streissguths do a really superb with the garden. We had the unique pleasure of living directly above the Streissguth Gardens for 5 years. What a beautiful gift to the city. Unbelievable in the spring. Thank you Ann, Dan & Ben. We are so excited to read this article on the CHS blog! 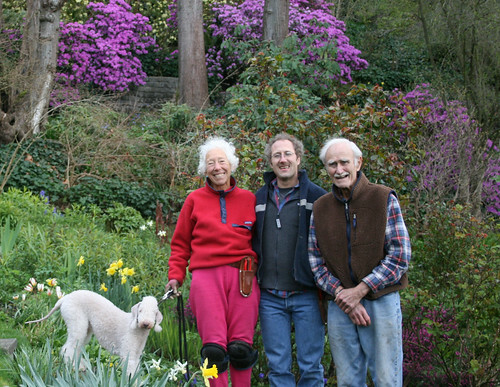 The Streissguth Garden is a paradise in the middle of the city and Seattle has it thanks to the love, dedication, and generosity of this incredible family. We have personally been blessed because we work very close to the Gardens and even more, because we had a chance to get to know the most generous people in Seattle. 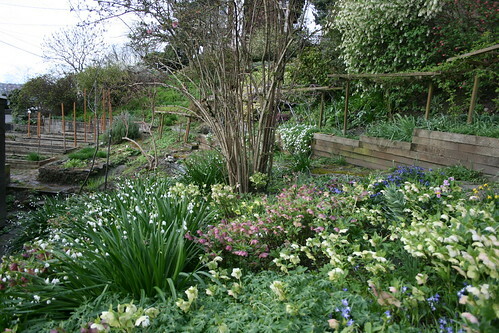 We always invite everybody to go to this garden: it is beautiful in every season! Please go, enjoy the peace of the place, and talk with Dan, Ann, and Ben! They often look for volunteers…that would be fun! 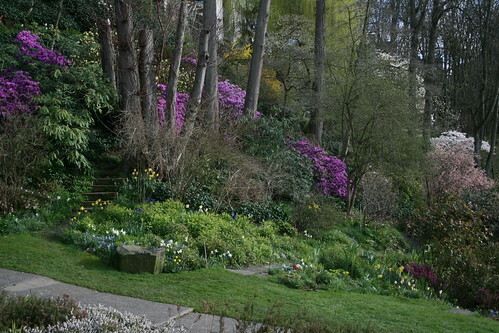 We only wish we had more time to visit more often the Streissguth Gardens, the most beautiful gardens in Seattle. wow its so very nice blogs site and i really appreciate it.